How Pulpitis Causes a Throbbing Tooth - And Bad Toothache! Pulpitis is an inflammation of the tooth pulp (nerve), which can give you a throbbing tooth. It can be VERY painful! It's a slightly strange-sounding word - I remember finding the sound of it rather amusing when I first came across it as a student in dental school. So where does the word Pulpitis come from? We've all heard of other "inflammation" words like dermatitis and meningitis. They all have ". . .itis" at the end. So the ". 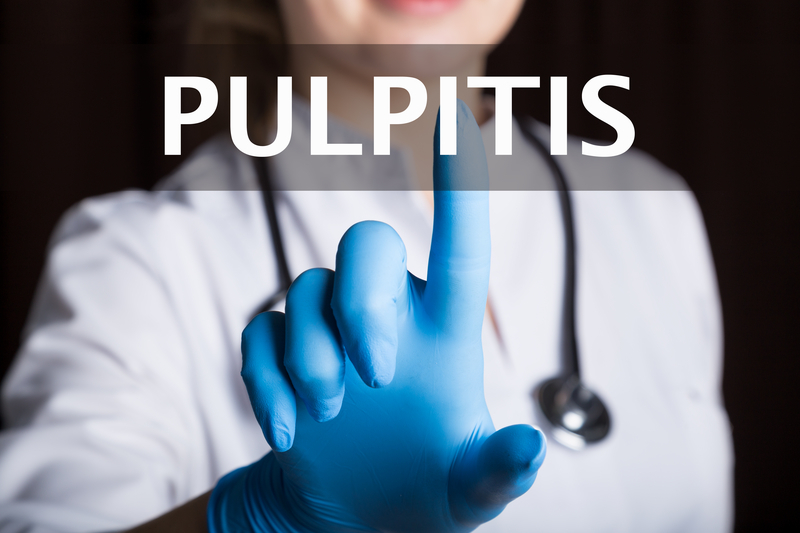 .itis" at the end of "pulpitis" tells us that it is an inflammation of the pulp. Pulp seems to be an odd word for the nerve inside a tooth. But the word "pulp" really just means something soft and mushy. It's a more accurate word than "nerve" for what's inside a tooth, because there are tiny blood vessels in there too. Not just tiny nerves. There are basically two types of pulp inflammation that you need to know about. One type can get better. It's called "reversible pulpitis". The other type cannot get better. Naturally enough, it's called "irreversible pulpitis". There are some other names used, such as acute and chronic, but for most patients, we just need to know if it's going to get better or not. What are the causes of pulpitis? Pulpitis - What are the symptoms of pulp inflammation? The tooth may react to hot, cold, sweet things and acidic foods and drinks, and may be tender to bite on. What's important is HOW the tooth reacts to these things. The REVERSIBLE forms of pulp inflammation have the mildest symptoms. The tooth may be sensitive to cold, for example, but only for 5 or 10 seconds or less. The tooth only hurts when you get something on it - if you leave it alone, it's fine. And you know pretty much exactly which tooth it is. You can pick the tooth without much doubt. One of the earliest signs is a toothache if you're flying in a commercial airliner. About 5 minutes after take-off, you start to get a dull ache in one of your teeth. It usually eases off after about 30 to 60 minutes, and it goes away when you land. This is a warning sign that something is brewing! With irreversible pulp inflammation, the pain can start up on its own - it doesn't need a trigger. Out of the blue, a tooth starts aching. Here's a puzzle - frequently you can't say for sure WHICH TOOTH is painful. It sounds crazy, but it can feel like several teeth are sore, or else it may feel like a front tooth when you know for sure that it's a back tooth that has the cavity! One of the give-away signs is the tooth reacting to hot drinks. 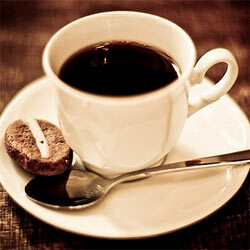 You drink some hot coffee, for example, and within seconds the tooth starts to ache. So you put the coffee down, and do something else for a minute. But the pain continues to get worse, even 4 or 5 minutes AFTER you had the hot drink. This is the "throbbing tooth" stage. Once the pulp has reached this stage, a cold drink can actually make it feel better. Occasionally, I'll see a patient booked in for toothache walk into the room holding a water bottle. As we have a talk about his problems, he takes a swig of water every 30 seconds or so. This is telling me that the tooth is painful to the warmth of his cheek, and the cold water is taking the edge off the pain. I know within a minute that he has an irreversible pulpitis. If you want MORE DETAILED information about your pain with pulpitis, and what you can do about it, I recommend that you download MY OWN 80-page ebook. Just CLICK HERE to read ALL about The Toothache Survival Guide. What are the treatments for pulpitis? The REVERSIBLE forms are easily treated by removing any decay and replacing any leaking fillings, and adjusting any fillings that are "too big". Getting a Tooth Pulled OR Root Canal Procedure. Also, here's an interesting page on the Colgate website.